The thumbnail images and captions are linked to screen-sized images; larger images are linked to the words "Hi-Rez Image". 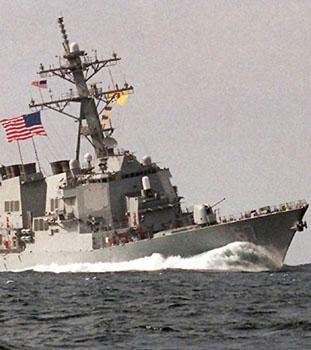 All photos are US Navy Official photos or US DoD Official photos, except as noted. Additional photos will be added as they become available. 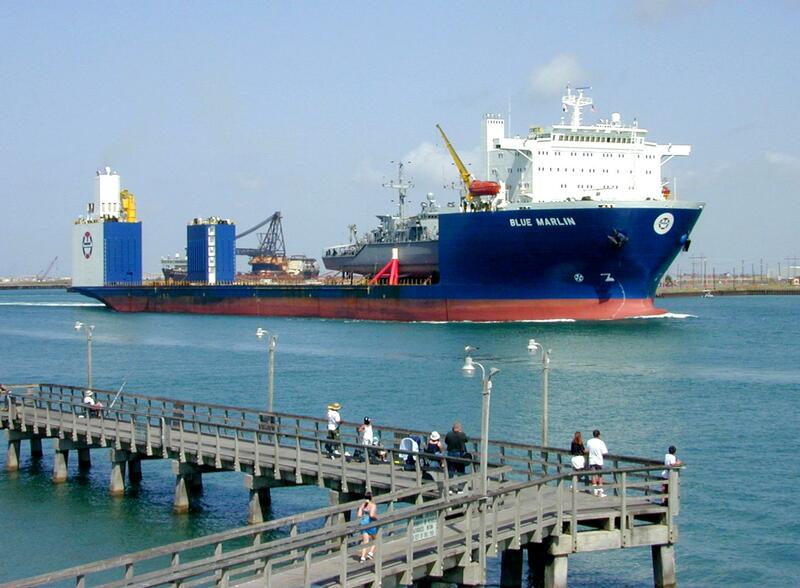 The heavy lift deckship Blue Marlin has been contracted to transport Cole back to the United States for repair. 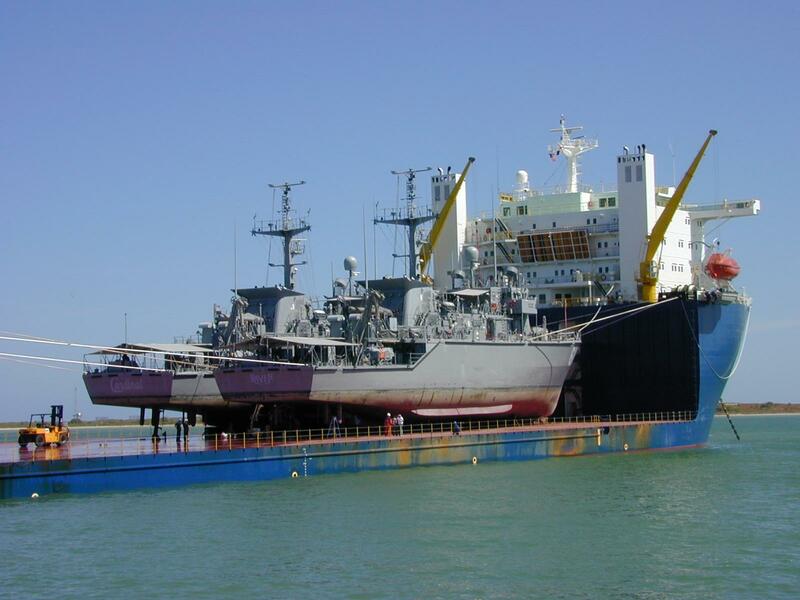 The deckship was in port at Dubai, UAE when Cole was attacked. After several days making preparations to receive Cole, she sailed for Aden on 23 October, escorted by the destroyer Paul Hamilton (DDG 60). Blue Marlin is seen here carrying two minehunters (MHCs) for transport to the Persian Gulf, July 2000. 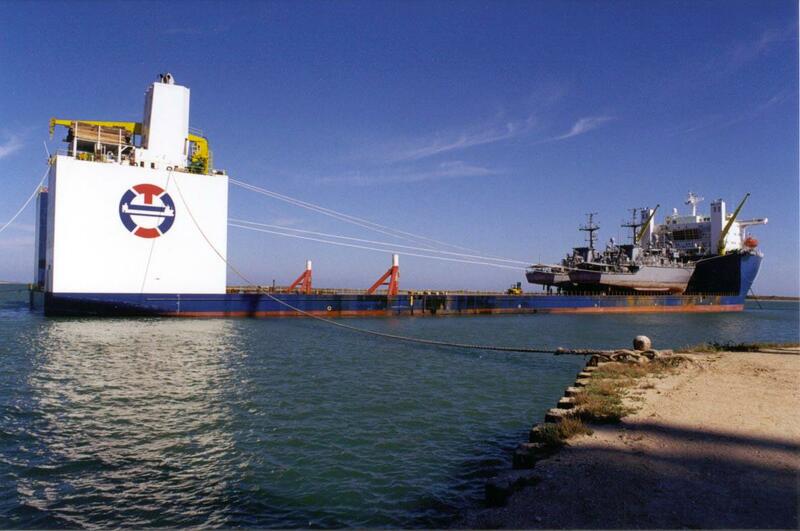 Blue Marlin pierside the day of her delivery, 27 April 2000. Transportation of Cole will be her third assignment. She is 712 feet in length with a clear deck 584 feet long and 137 feet wide, and a cargo capacity of 56,000 tons. She is the newest and largest deckship in the world. Photo by Offshore Heavy Transport ASA. Blue Marlin's sistership, Black Marlin, at sea. This view shows the vast clear cargo deck, which measures 584 feet in length and 137 feet wide. Photo by Offshore Heavy Transport ASA. 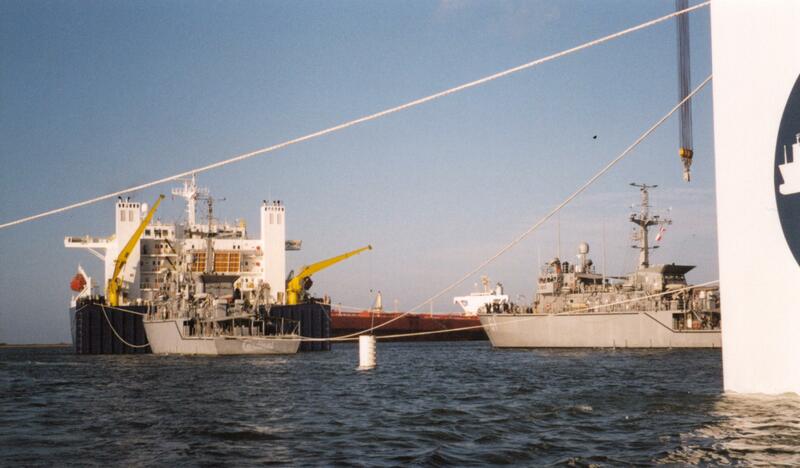 Blue Marlin loading the coastal minehunters Cardinal (MHC 60) and Raven (MHC 61) for transport to the Persian Gulf, July 2000. 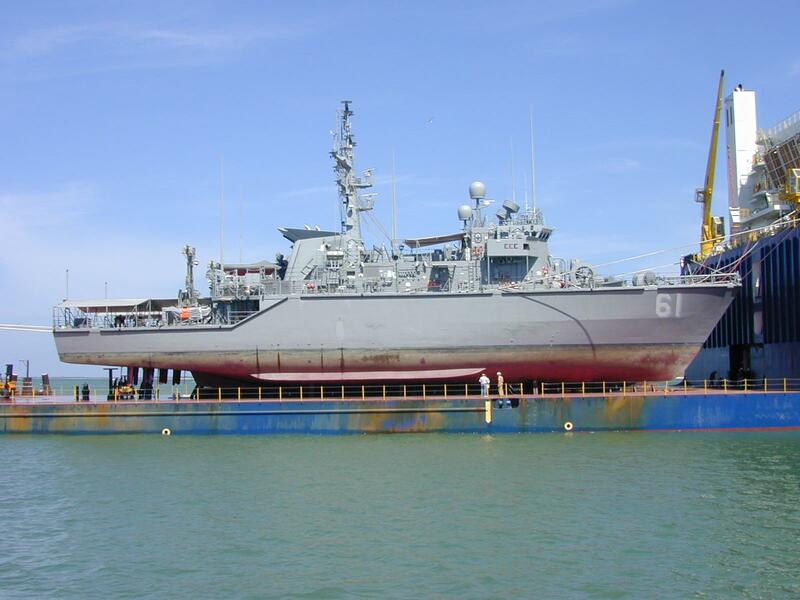 In this view the deckship is ballasted down and one MHC has been positioned over her cradle; the other is being maneuvered into position. 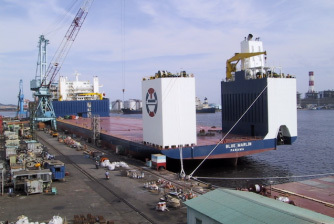 Blue Marlin with both MHCs in position over their cradles. 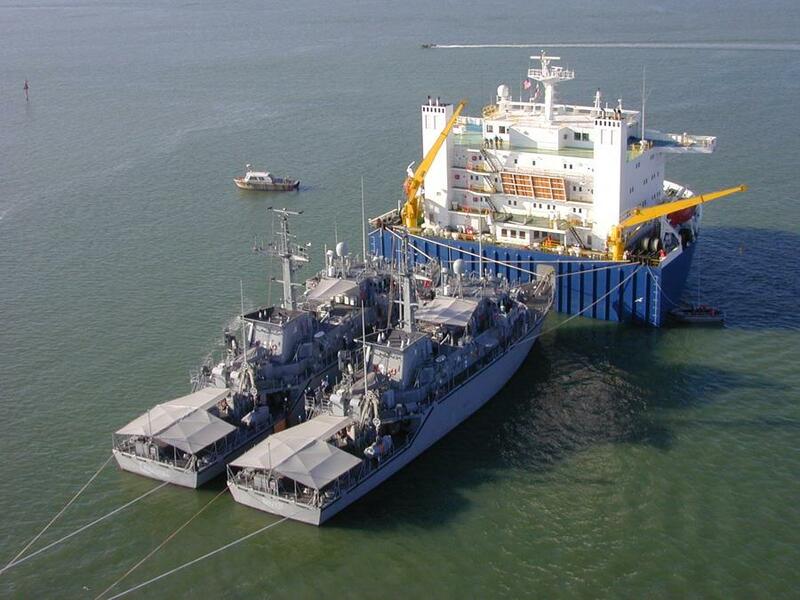 Blue Marlin with the MHCs aboard, while still deballasting, with the deck barely above water. 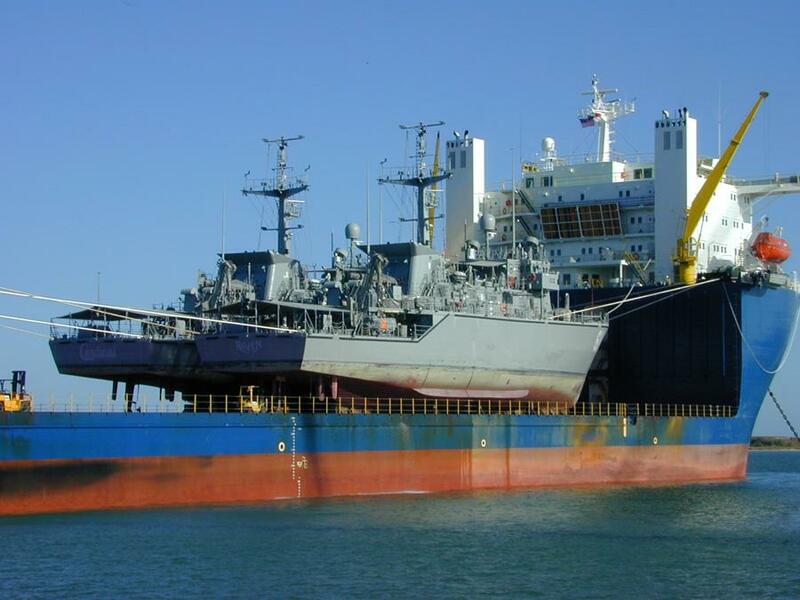 A broadside view of the MHCs as Blue Marlin completes her deballasting. 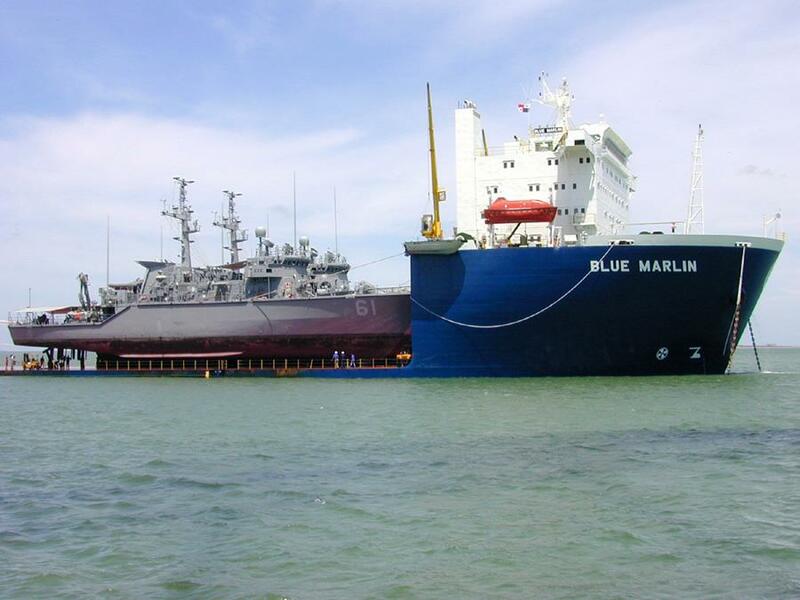 Another view with Blue Marlin partially deballasted. With Blue Marlin fully deballasted, the deck rides high above the waves. Blue Marlin deballasted with the MHCs aboard, preparing to get underway. With the MHCs secured for sea, Blue Marlin gets underway.